Food Costs > How Much Does Ice Cream Cost? How Much Does Ice Cream Cost? Ice cream — refreshing, cool and creamy — could be one of the most delicious desserts on the planet. It’s portable, readily available in hundreds of flavors and is available just about anywhere you shop. The cost of ice cream greatly depends on the size of the container, if any promotions are going on at the time, the brand and where you purchase it from. With so many brands on the market, we created a table, along with the average price you may pay to help you budget. The retail price, as per this Statista study, was $2.68 per half a gallon in 1995 to $4.68 per half a gallon today. Ice cream, almost at all times, will have at least one brand on sale at your local grocery store. If you’re not picky about your brands and/or flavors, consider looking for the brands on sale for the week. Many ice cream brands offer coupons online via social media, the official website and/or if you join their email newsletter. Coupons can often be found via the local newspaper as well in the weekly coupon inserts. 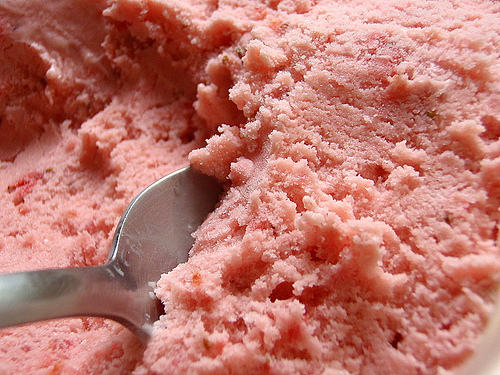 In some cases, making your own ice cream at home may be cheaper, depending on the ingredients being used. According to Mint.com, they claim that making your own ice cream is around $3.95, which is five cents less than the averagely priced pint.